ePublishing Knowledge BaseePublishing Knowledge BaseePublishing Knowledge Base EditorialHow do I format content? 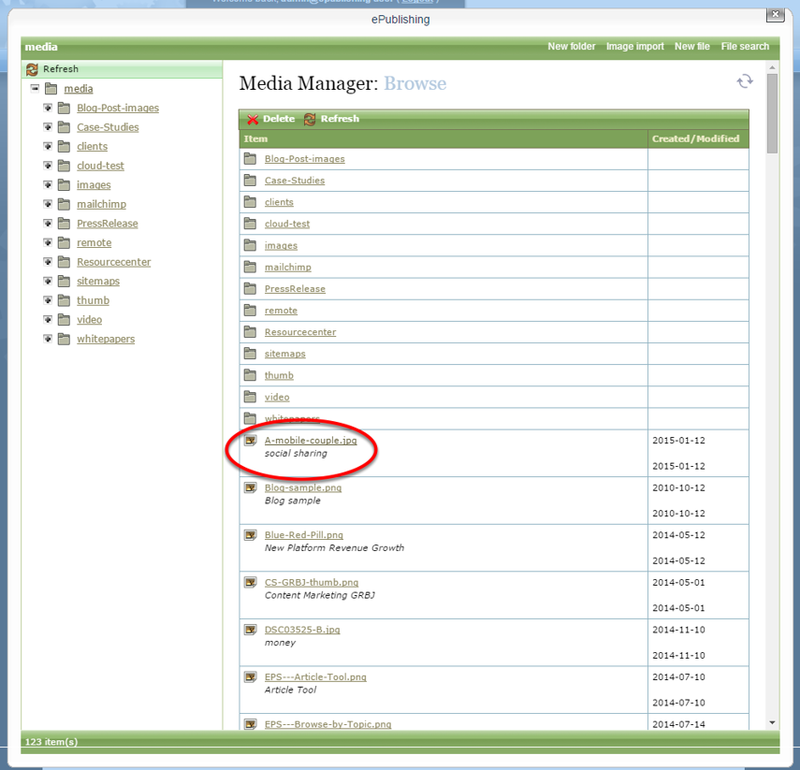 You can also access the html source through the WYSIWYG. 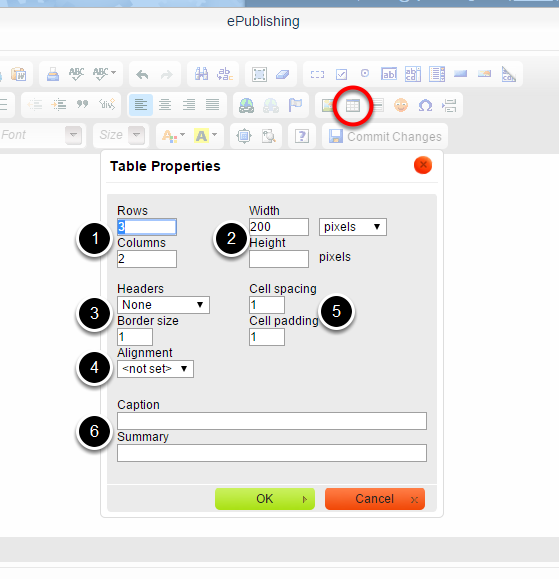 The WYSIWYG editor is available throughout the ePublishing system. You may also format content using html, including adding paragraph tags (<p>), line breaks (<br>), formatting (<b>, <i>, <u>) and other more advanced html. 1. 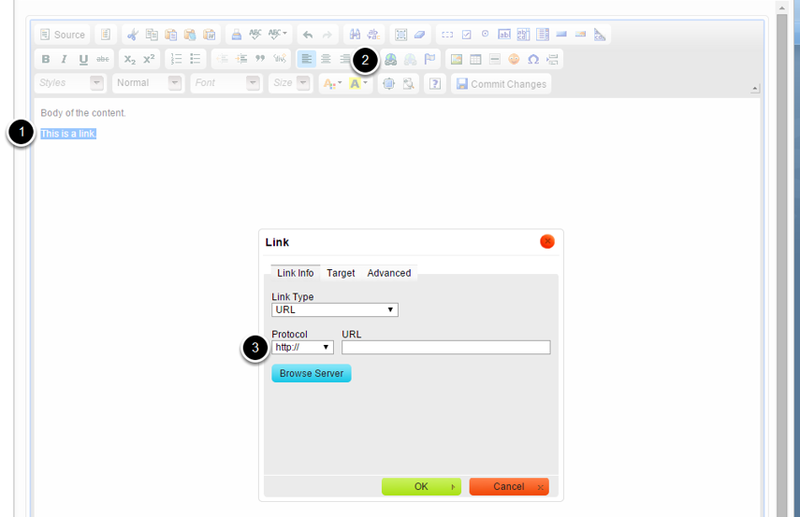 Open the WYSIWYG editor in the section you wish to format. Zoom: Open the WYSIWYG editor in the section you wish to format. In this example, we will edit the body of an article. 2. This will open the WYSIWYG editor. Zoom: This will open the WYSIWYG editor. 2.1. You may type your content directly into the editor. 2.2. 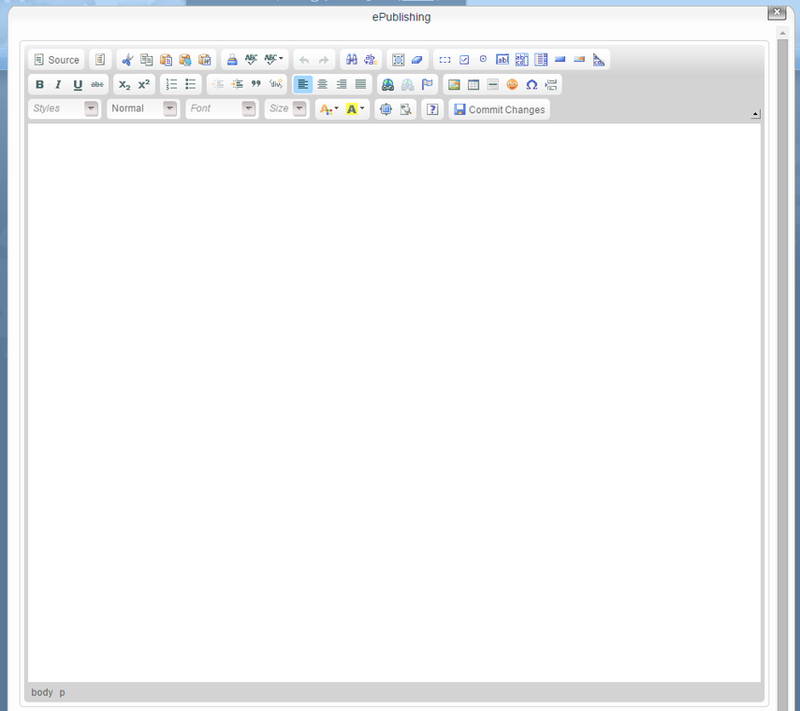 To paste your content from Microsoft Word, click on the Word icon at the top of the editor. For best results, use this icon instead of pasting directly from Word into the body of the WYSIWYG. This will ensure that any formatting translates from Word. When you click the Word icon, a pop-up box will appear with further direction. 2.3. You may also copy and paste your content using the Paste as Plain Text tool in the editor. When pasting as plain text, the content will default to your website style. All hyperlinks or other formatting may be lost. 3. For the most commonly used formatting, use the below circled buttons in the WYSIWYG toolbar. Zoom: For the most commonly used formatting, use the below circled buttons in the WYSIWYG toolbar. Highlight the text you want to apply formatting to, and click the icon. For example, if you'd like to make a word bold, highlight that word and click the B icon in the tool. 5. To add a hyperlink, highlight text and click on the link icon. Zoom: To add a hyperlink, highlight text and click on the link icon. Highlight your text or click on an image that you want linked. 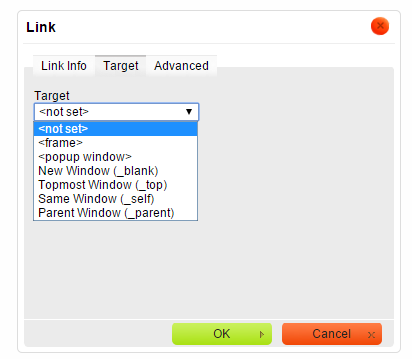 In the Link window, paste your URL. 5.1. Click on Target to set where you'd like the link to open. If you'd like the link to open in the same window as the content, choose <not set>, which is the default, or Same Window (_self). If you'd like the link to open in a new window, select New Window (_blank). If you'd like it to open in a window that pops up, select <popup window>. 6. 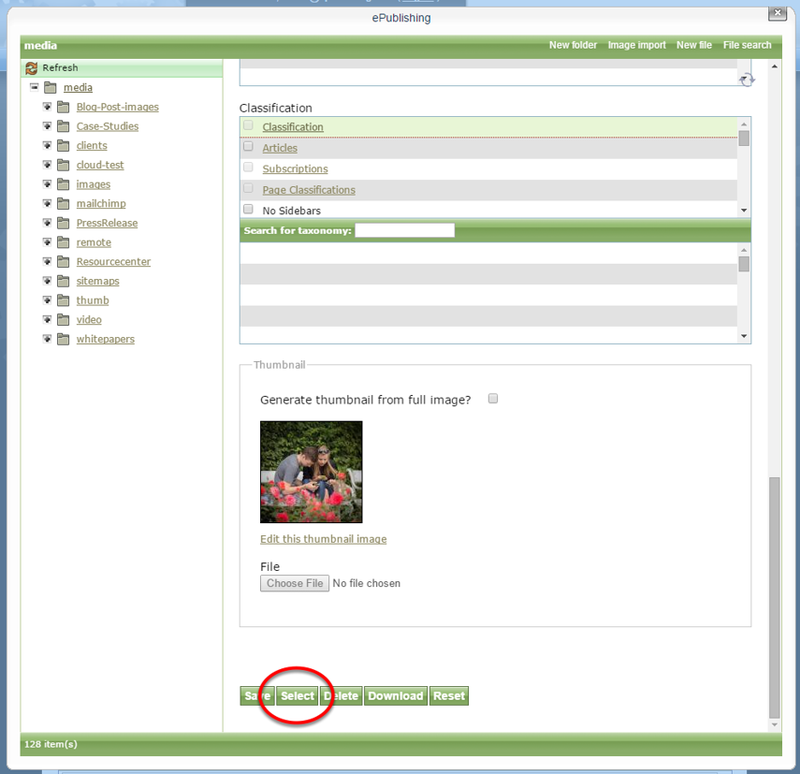 Add an image by clicking on the Image icon in the WYSIWYG. 6.3. Scroll to the bottom of the image properties, and click on Select. 6.4. Adjust the settings for your image and click OK.
7. To create a table, click the table icon. Set the number of rows and columns in your table. Adjust the width and height by pixels or percent. Determine if you'd like the first row or column to be considered a "header." Determine the preferred alignment for the table. If you set it as left or right, text will wrap around it. If alignment is not set, it will default left with no text wrap. Set cell spacing and padding. If desired, add a caption or summary for your table. The caption will appear at the top of your table. 8. To change the color of your text, highlight it and click on the text color icon. 8.1. To highlight your text, click on the neighboring icon. Add a quote (will be indented). Add an anchor link within the same content. Add a special character. For example, copyright, trademark or an accented letter. Add pagination to your article. Click where you'd like the second page to start and select this icon. 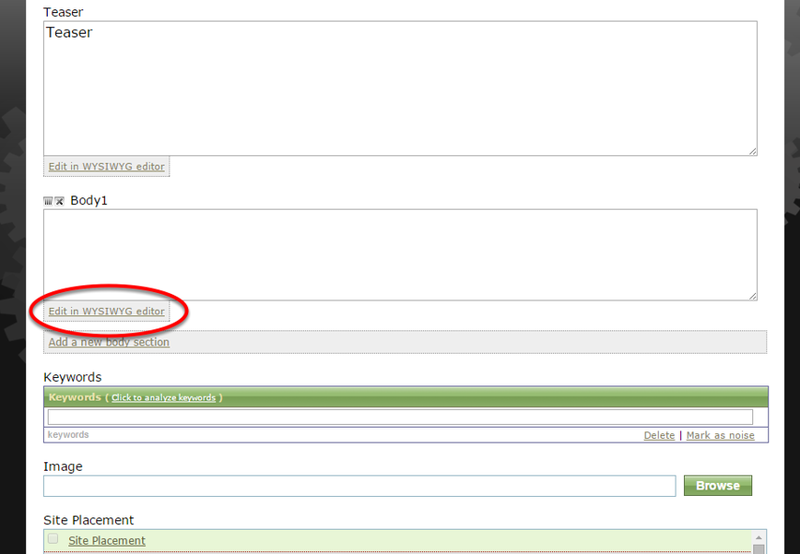 You may also add pagination after you exit the WYSIWYG edior. 10. To edit the html source, click the source icon. 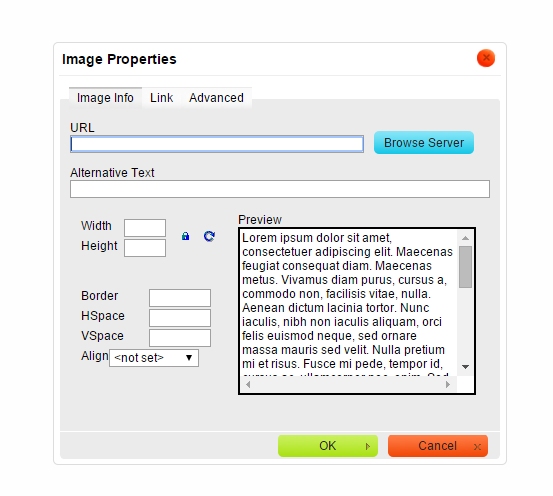 You may also edit html directly in the body of the content after exiting the WYSIWYG editor. 11. When you have completed formatting in the WYSIWYG, click Commit Changes. Prev: How do I create a blog post? 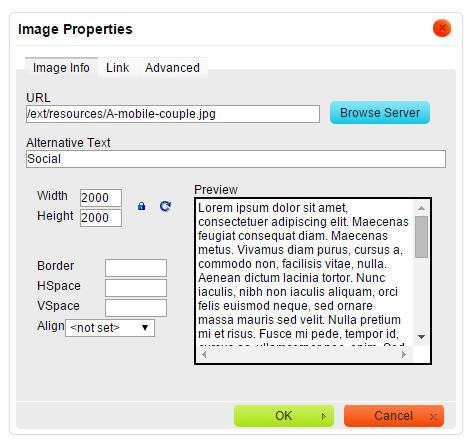 Next: How do I insert an image into an article or blog post?